AS A MINIMUM ALL CAMPERS WILL HAVE ACCESS TO SHOWERS, WATER POINT AND TOILETS. All campers will need to purchase a camping ticket each. The Camp Sites are manned overnight and the site is covered by first aid crews for the entirety of the event.  For the Ultra Tour of Arran we have camping options to meet all needs. LET US TAKE THE FUSS OUT OF YOUR ACCOMMODATION NEEDS WITH OUR STYLISH AND SPACIOUS PRE-ERECTED BELL TENTS THAT ARE READY TO WELCOME YOU IN STYLE. DRIVE UP, CHECK IN AND CHILL OUT. 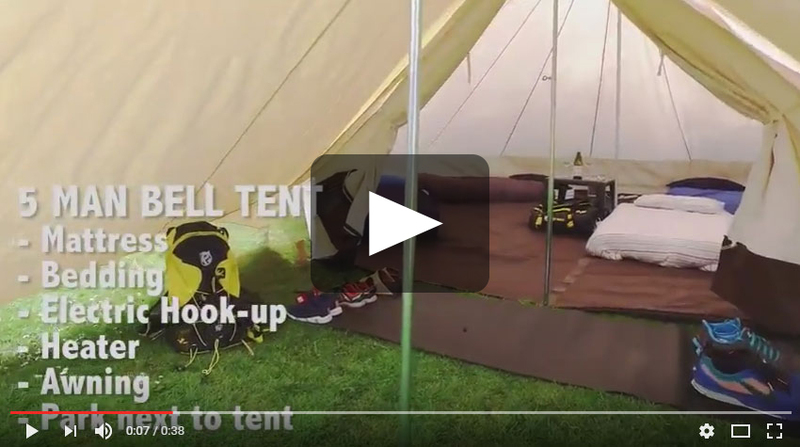 Videos are to demonstrate the type of tents we use and are not reflective of any particular package. Parking in not included. 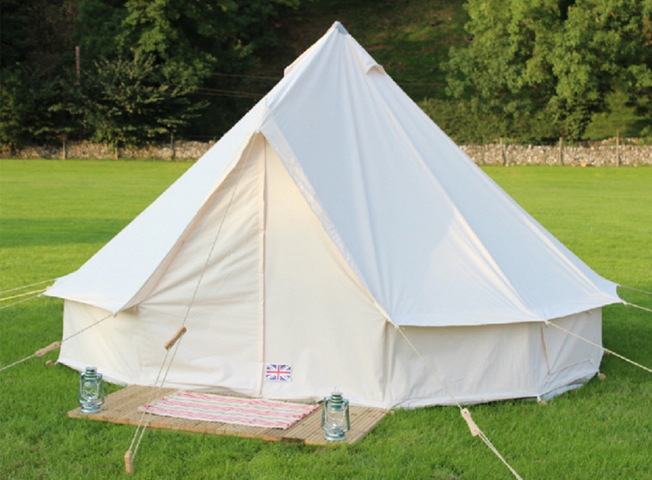 Our bell tents offer room for up to 5 people with 10cm insulated mattresses and all bedding available. Cover Friday, Saturday and Sunday nights. 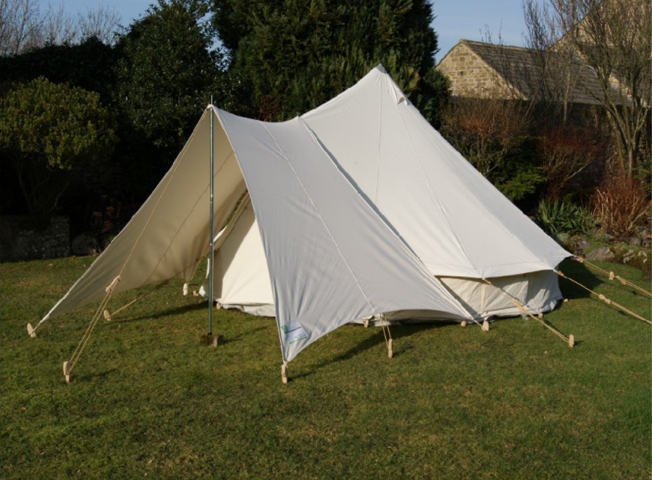 5 metre diameter bell tent. Mattresses: Highly insulating single mattress featuring up to 10cm of optimised insulation with a soft-touch flocked finish on the top-side and a non-slip base. Bedding: fitted sheet, sleeping bag, sleeping bag liner, duvet and pillow. Each spectator requires a camping pass to access the campsite. Camping passes must be bought separately. Buy your camping pass here. Sleeps 4. Includes 3 nights accommodation. Electric hook up. Heater. 4 x highly insulating single mattresses featuring up to 10cm of optimised insulation with a soft-touch flocked finish on the top-side and a non-slip base, with bedding (fitted sheets, sleeping bags, sleeping bag liners and duvets) and pillows. Does not include camping passes. Sleeps 5. Includes 3 nights accommodation. Electric hook up. Heater. 5 x highly insulating single mattresses featuring up to 10cm of optimised insulation with a soft-touch flocked finish on the top-side and a non-slip base, with bedding (fitted sheets, sleeping bags, sleeping bag liners and duvets) and pillows. Does not include camping passes. Whichever option you choose, you will need one of these as well. Supporters can also buy a camping pass. Please respect the fire lanes and marshal instructions. 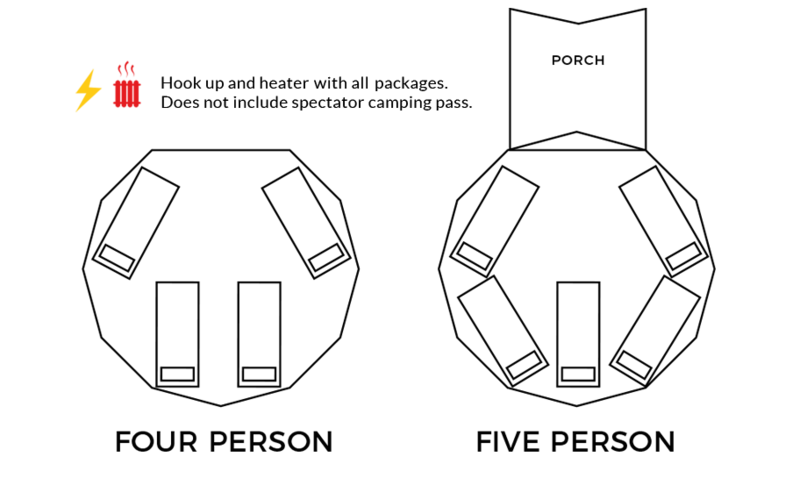 Individual Supporter and Racer Camping Passes will be posted out pre-event. Camping passes can be purchased when booking your tent or from the ticket shop here. Each camper will need to buy a camping pass which you can buy from the ticketshop here. 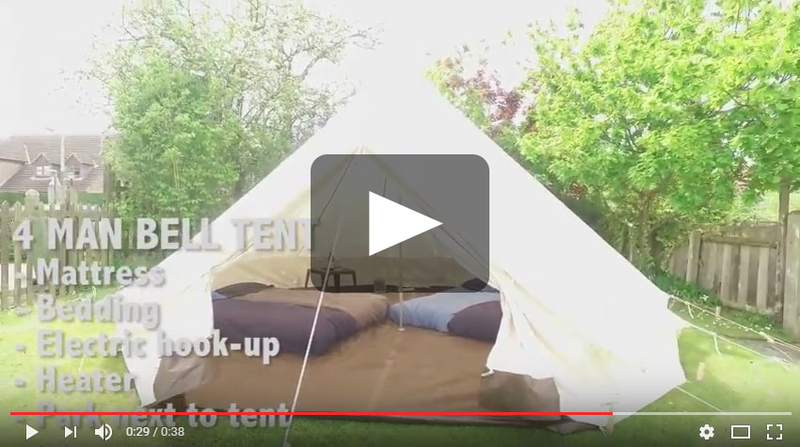 Upon arrival you will be checked into your bell tent by our camp site staff. They will ask you to complete a check-in form and pay a credit card damage deposit of £100. The £100 damage deposit will be returned after the checkout inspection. Bell tents have a no smoking, no vaping and no pets policy. Our compact Dome tent option can take up to 3 people and is our most affordable option for small groups. 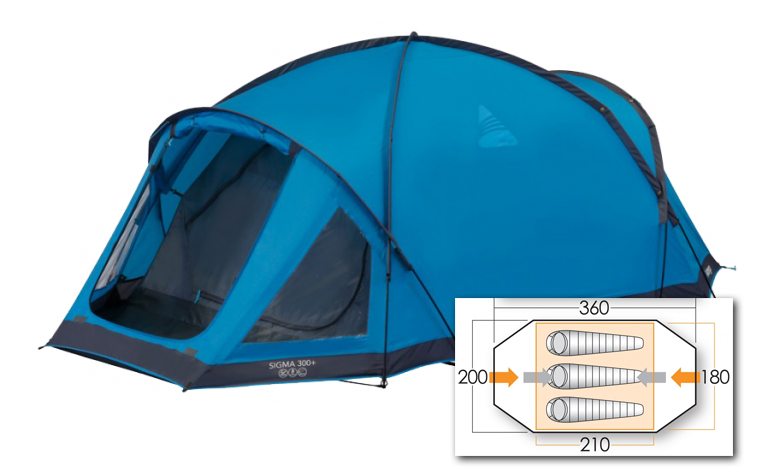 For this season will be using the Vango Sigma+ which offers a twin flysheet door and additional porch area ideal for storing kit, whilst the flysheet first or all-in-one pitching ensures that your sleeping pod always stays dry if it is raining. 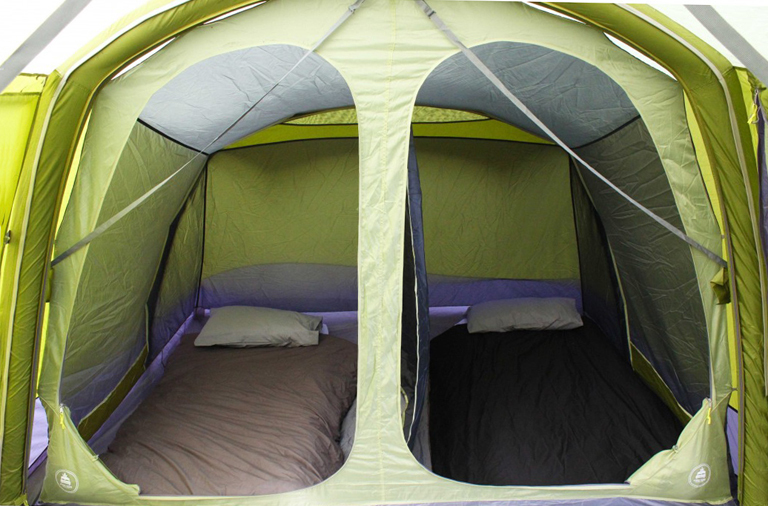 While snug for 3, this tent not only offers a greater amount of space for pairs. It has enhanced stability and superior fabrics that are waterproof and fire retardant for a dry, safe and comfortable camping experience. These tents have been weather and fire tested to the European standard EN5912. Solo and Pair Luxury options are available with highly insulating single mattresses featuring up to 10cm of optimised insulation with a soft-touch flocked finish on the top-side and a non-slip base, with bedding (fitted sheets, sleeping bags, sleeping bag liners and duvets) and pillows. Does not include camping passes. A three pin electrical socket is included in our dome tent luxury options for charging up your electricals in the privacy of your own tent. This season we will be using the Vango Capri and Longleat 800XL AirBeam tunnel tent. These are great for larger groups who want either discreet separate sleep areas for 4 or looking for great value for 8 folk. These are generous, up-to-8 man tents that utilises a vis-à-vis layout, meaning they have two bedrooms positioned at either end of the tents and large central living area in the middle with plenty of space for kit and head clearance. The bedrooms can have the divider removed to create flexibility for different sleeping layouts. These tents have been weather and fire tested to the European standard EN5912. Our tunnel tents are available with luxury options (4-6 people) and include highly insulating single mattresses featuring up to 10cm of optimised insulation with a soft-touch flocked finish on the top-side and a non-slip base, with bedding (fitted sheets, sleeping bags, sleeping bag liners and duvets) and pillows. Does not include camping passes. A three pin electrical socket is included in our tunnel tent luxury options for charging up your electricals in the privacy of your own tent. Videos are to demonstrate the type of tents we use and are not reflective of any particular package. Our Bell Tents and luxury options include power but electric sockets can be added to our tent-only packages. You will gain access to our campsite generator electric supply via a three socket adapter within your tent that has a safety cut-off outside of your tent. This will supply power in line with that of standard 230V camping devices which can be used to run personal devices such as phones, laptops and camping (not domestic) kettles. This season we will be offering the facility to rent a single Pod with our luxury package that includes 10cm mattress, sleeping bag, pillow and duvet. 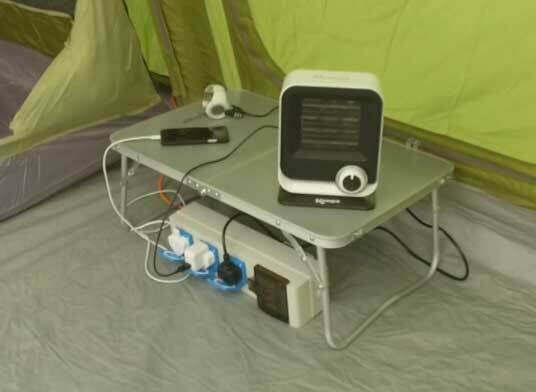 The tent will also include electric sockets. 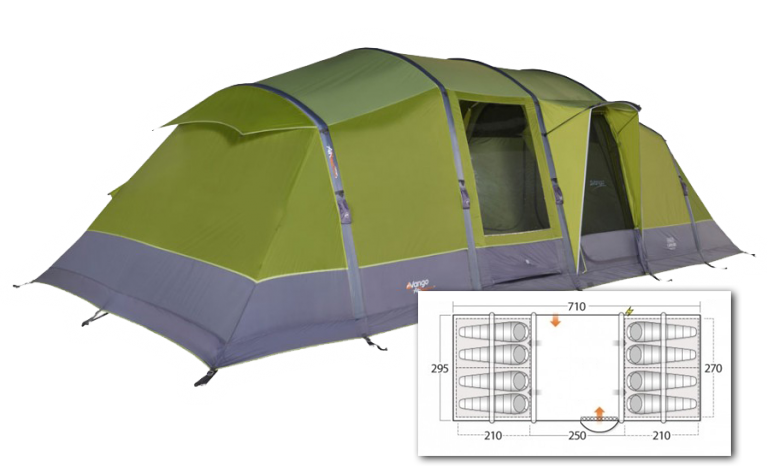 This is a generous, 4 bedroom tent that utilises a vis-à-vis layout, meaning it has two bedrooms positioned at either end of the tent and a large central living area in the middle with plenty of space for kit and head clearance. Each bedroom is 210cm x 135cm. These tents have been weather and fire tested to the European standard EN5912. These tents are sold as solo pods only for either men or women so we have a maximum of 4 men or women per tent. Sleeping bags are available to purchase as an extra with your pod booking. The sleeping bag will be available to collect at the campsite and is yours to keep should you wish to.